Welcome to Tool Review Zone! On this site, we focus on new tool reviews that help you make a more educated buying decision. In many cases, we discuss tools that haven't even hit the market yet! We Are glad you stopped by, and look forward to hearing from you in the comment sections. And don't forget to check out the Home Depot deal of the day tab below! April 24, 2019, La Mirada, CA – Makita U.S.A., Inc. just announced the "Rule the Outdoors" national media campaign to promote cordless outdoor power equipment and their benefits, such as instant starts, lower noise, reduced maintenance, and zero emissions. Legendary Toro Performance Now Available in Lithium-Ion Battery-Powered Line 2019! BLOOMINGTON, Minn. (May 1, 2019) – The legendary performance of Toro’s gas-powered products is now available in a battery-powered line. 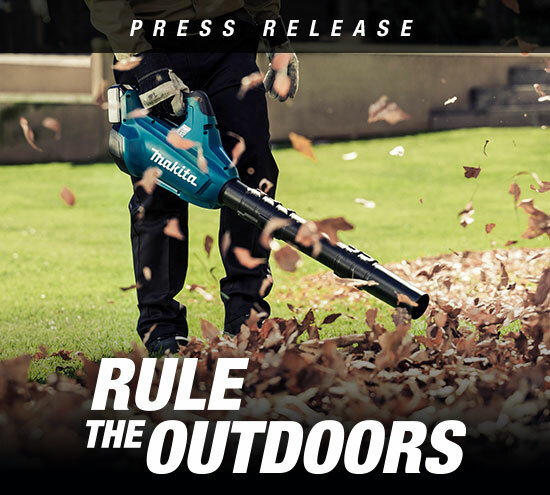 The company has just introduced three new mowers, a leaf blower and a string trimmer with Toro’s new Flex-Force Power System™ featuring 60V1 lithium-ion technology. A 60V snowblower will be available later in 2019. Every once in a while, we at TRZ like to bring you information on new tools through brand issued press releases. 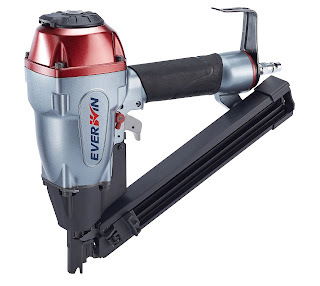 Though we have not tested this new Everwin nailer for ourselves, we feel that this is a great way to get information to the end consumer Reead below to see what the new MCN40 nailer has to offer. Home Depot will be bringing some very cool tools to their stores in 2019, and we got to see them. 2019 Home Depot Prospective Exhibit! I'm sitting at the airport right now catching a flight back home to Ohio after spending a few days in Atlanta. I attended the 2019 Home Depot Prospective event which gave an insight of some of the newest tools to hit the market in 2019. Below is a recap of what is coming to a Home Depot near you in 2019. All I can say is that I was truley amazed with some of the tools that were there, and battery technology has basically surpassed every expectation that we though it could just 5 years ago. 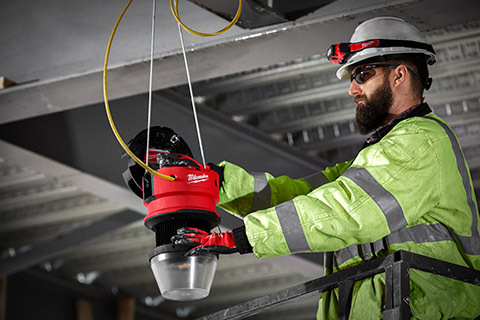 MILWAUKEE, WI – The leading jobsite lighting provider in the industry, Milwaukee Tool, continues to expand their Lighting Solutions with the introduction of the RADIUS™ LED 130W Temporary Site Light. The AC-powered lighting solution is specifically designed to significantly reduce the labor time associated with temporary lighting installation, maintenance costs, and overall energy consumption. The new light is easy to set up and can instantly light up the work space with 15,000 lumens of TRUEVIEW™ high definition light – reducing the number of temp lights needed throughout the job. 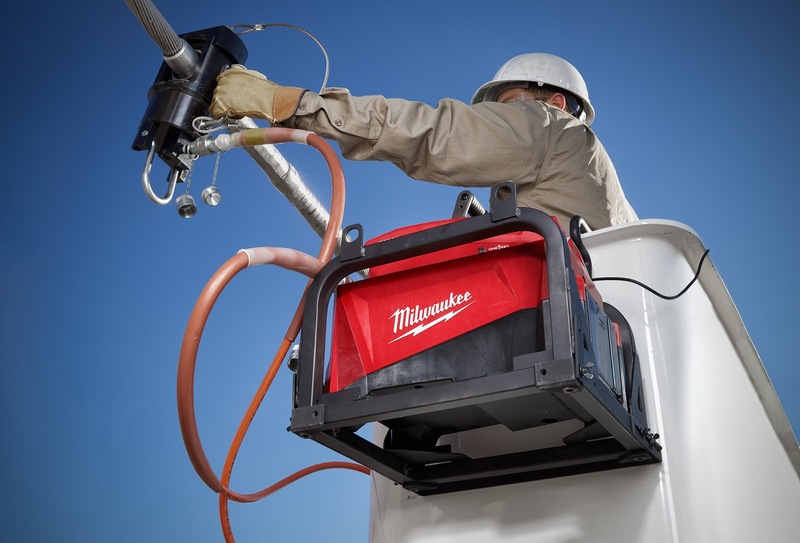 MILWAUKEE, WI – Milwaukee Tool continues to bring productivity to new heights in the utility industry with the introduction of the M18™ FORCE LOGIC™ 10,000 psi Hydraulic Pump – the easiest way to power hydraulics. Designed to be fully compatible with all existing 10,000 psi-rated hydraulic hoses and single-acting heads, this new hydraulic pump is up to 80% smaller and 75 lbs lighter than gas units for one-person carry and easiest set-up. A high-pressure flow rate that’s 3X faster than other cordless pumps delivers gas-like performance including 24 second cycle times and up to 60 presses on a single battery on 1590 ACSR connectors. The M18™ FORCE LOGIC™* 10,000 psi Hydraulic Pump fundamentally changes the way transmission lines get installed. 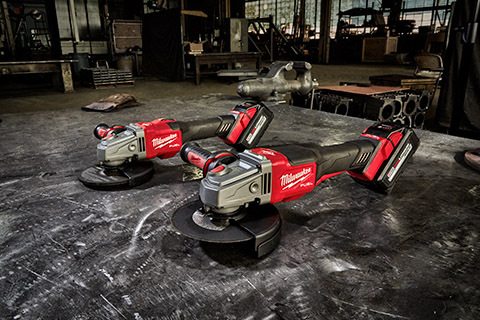 MILWAUKEE, WI- Milwaukee Tool continues to deliver unprecedented innovation for the Power Utility Industry with the introduction of the USB Rechargeable Utility Hot Stick Light. This lighting solution attaches to any universal hot stick and is built with two separate LED lights that provide 350 lumens of TRUEVIEW™ high-output lighting for up to 8 hours, setting a new standard for inline hot stick lighting. 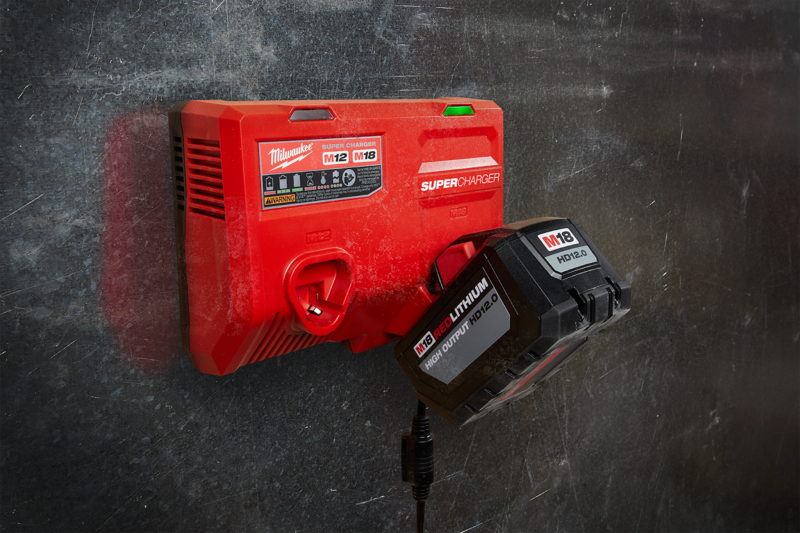 MILWAUKEE, WI- Milwaukee Tool, the leader in cordless power tool technology, announces the next breakthrough for its M18™ Cordless System by extending its range of M18™ REDLITHIUM™ HIGH OUTPUT™ Batteries and introducing the first M18™ & M12™ Super Charger. The new M18™ REDLITHIUM™ HIGH OUTPUT™ XC8.0 and CP3.0 battery packs will join the company’s current HIGH OUTPUT™ HD12.0 and XC6.0 offerings, establishing new top-tiers of performance for the XC (Extended Capacity) and CP (Compact) battery segments. All M18™ REDLITHIUM™ HIGH OUTPUT™ batteries provide 50% more power, run 50% cooler, and offer increased run-time over standard M18™ REDLITHIUM™ batteries, all while being compatible with the entire M18™ System of more than 175 tools. MILWAUKEE, WI- Milwaukee Tool continues to deliver unprecedented innovation for the Power Utility Industry with the introduction of the M18 FUEL™ 7/16” Hex Utility High Torque Impact Wrench w/ ONE-KEY™. The industry’s only cordless impact wrench made specifically for Linemen, this is also the world’s fastest-drilling cordless 7/16” impact wrench, delivering 30% faster drilling than other cordless options available. 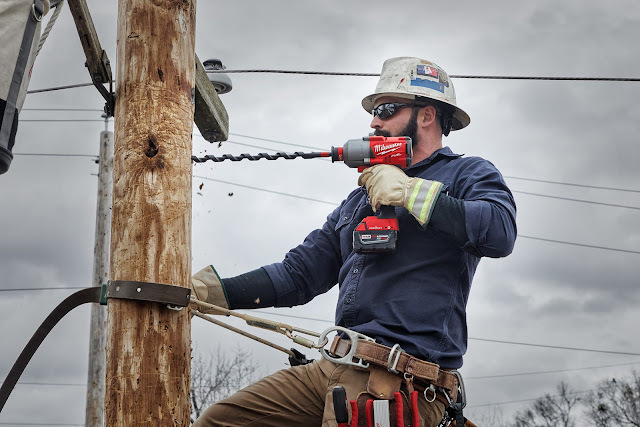 The new tool also provides up to 750 ft-lbs max torque for powerful breakaway capability and has features uniquely designed to offer Linemen maximum control such as an extended handle and QUIK-LOK™ chuck. This saw is simply perfect. Its not one of those massive saws that you need to lug around and find storage for, but it gets the job done just as good. Best thing is, it has a life time warranty with registration. Milwaukee Unveils Digital & Expandable Levels - New Squares Too! Milwaukee adds new digital levels and new squares to their lineup! Tool Review Zone is on Instagram! Follow us on Instagram for the latest tool news! Voted the Top 100 Tool Blogs on the web by Feedspot. In many instances we can bring you information on tools that have not been released yet. This includes pricing, specs and release dates. The articles that you find here on Tool Review Zone site are written to help inform you of new tools on the market, and how we believe they stack up against the competition. These are our opinions only, and should only be used as a guide before making a purchase. Purchases made through the TRZ site help support the page and allows us to continue providing information about your favorite brands. That being said, no tool is shipped or supplied by Tool Review Zone in any way. We truly appreciate you stopping by, and we look forward to reading your comments and emails.